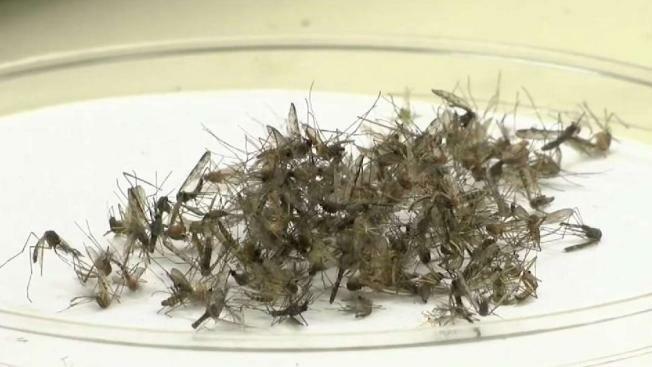 Public health officials have announced 10 new human cases of West Nile virus, bringing to 24 the number of human cases acquired in Massachusetts this year. The newest reported cases are predominantly among older individuals. Public Health Commissioner Monica Bharel said Friday that the state has seen four times as many cases compared to last year. She said even with the start of fall and cooler temperatures, mosquito season isn't over. It's not unusual to see people infected in October. West Nile Virus is usually transmitted to humans through the bite of an infected mosquito. While it can infect people of all ages, people over the age of 50 are at higher risk for severe disease. Most people infected have no symptoms. Symptoms tend to include fever and flu-like illness.